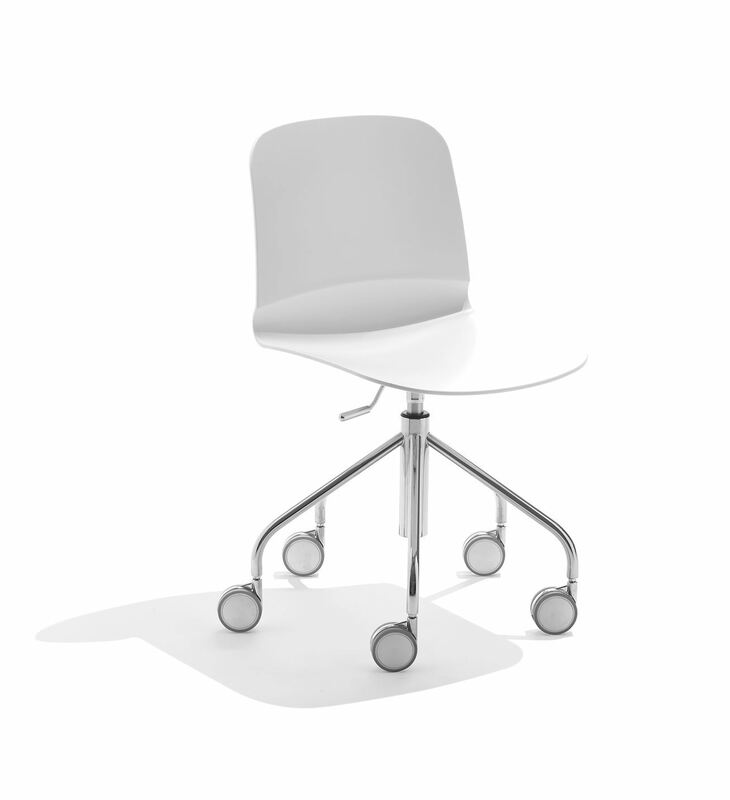 Castor base side chair. Seat and back in white or colored restylon or upholstered with fabric or leather. Polished chrome frame. Swivel. Height adjustable.